Ehnother Podcast Proudly Presents: Warlock Wednesday Episode #231! I thought last week’s show was short, this week we don’t even cross the 40 minute mark. 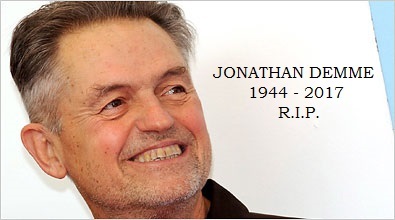 We lost an Oscar winning director this past week in Jonathan Demme. Mostly casting news and movies we don’t need because we have already got them. Your Comic Book Releases are here, as is your North American Box Office Report; New Movie Releases; Death Corner and Entertainment News. There is no Super Hero Movie Time news this week. This entry was posted in Warlock Wednesdays and tagged #CanadianSmodcast, 3 Generations, A Dog's Purpose, Akiva Goldsman, Alien 5, All New Guardians of the Galaxy #1, Anna Taylor-Joy, Batman #22, Billy Eichner, Box Office Reports, Bruce Willis, Canadian Smodcast, Christina Aguilera, Christopher Robin, comic book releases, comic books, comics, DC, DC Comics, Doc Holliday, Doctor Who Ghost Stories #2, Dublin City Comics and Collectibles, Dynamite Entertainment, entertainment, Ewan McGregor, Faith #11, Firestarter, G.I. Joe #5, Glass, Green Arrow #22, Guardians of the Galaxy Vol. 2, Harley Quinn #19, Hawkeye #6, Hilary Swank, Hollywood Babble On, IDW Publishing, Image Comics, Ireland Release Dates, James Bond #3, james mcavoy, Jeff Goldblum, Jeremy Renner, Jessica Jones #8, Joe Johnston, Jonathan Demme, Jurassic World 2, Justice League #20, Kevin Hart, Kevin Smith, M. Night Shyamalan, Marvel, Marvel Comics, Miranda Otto, Movies, Neil Blomkamp, Nightwing #20, North American Release Dates, personal views, Ralph Garman, Rashida Jones, Ridley Scott, Rob Riggle, Rob Sacchetto, Rumor, Rumors, Samuel L. Jackson, Secret Empire #1, Seth Rogen, Sleepless, Spider-Man #16, Spider-Man Deadpool #17, Superman #22, Teenage Mutant Ninja Turtles #69, Television, The Autopsy of Jane Doe, The Chronicles of Narnia: The Silver Chair, The Dinner, The Great Outdoors, The Lion King, The Walking Dead #167, The War With Grandpa, Theo James, Titan Comics, Trust, Uma Thurman, Unlocked, Valiant Entertainment, X-Men Gold #3, Zoe, Zombie Portraits. Bookmark the permalink.